Help for early Alzheimer's from nasal insulin? A new study indicates a daily dose of insulin given via the nose might help patients with early Alzheimer's dementia. CBS News medical correspondent Dr. Jennifer Ashton said on "The Early Show" Tuesday the results provide cause for "cautious optimism" and are "potentially significant." She said a "very small, pilot study done out of the University of Washington in Seattle looked at just around 100 people with early-stage Alzheimer's dementia, or mild cognitive impairment, divided them into some groups, gave some of them insulin spray in the nose daily, and followed them for a short period of time, four months. (The researchers) found that those who had insulin showed an improvement in their memory and brain function. "They used a very special device," Ashton added, "that delivered it right into the nose, so it's not just random insulin." "We have to caution here ... in medicine, we like big numbers, long follow-up, (and) much more research needs to be done. But this was encouraging results, although it could have occurred by chance." Ashton explained that, "The hormone insulin is very important for our whole body function. But in people with any type of degenerative brain disorder, Alzheimer's dementia being the most common, there is impaired glucose function. The hormone insulin is needed to process glucose. And it actually is thought that some of those tangles of protein we hear about so often in Alzheimer's actually bind up the insulin, don't allow it to give the brain the glucose that it needs." Is this approach ready for primetime? "Not yet," Ashton said. "Not by any means. And we need to remember: Insulin is a very powerful hormone. People should not take insulin unless they actually need it. It can have some very serious side effects. This is going to be an area of very exciting ongoing research." 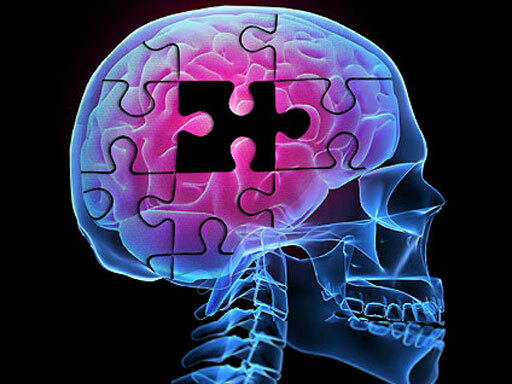 Ashton pointed out that "multiple factors" are thought to contribute to the development of Alzheimer's. "It's not just one thing," she said. "Things like age, very important. Family history is a risk factor. Past brain trauma, repetitive concussions, genetics, certain genes are involved ... and then that heart-head connection, people with diabetes, high blood pressure, obesity, anything that negatively impacts your cardiovascular health not good for your brain, either."